Austin Wieland was born and raised in Bryan, Ohio. He received his BFA from Miami University of Ohio in 2011 with a studio concentration in Ceramics and a minor in Arts Management. 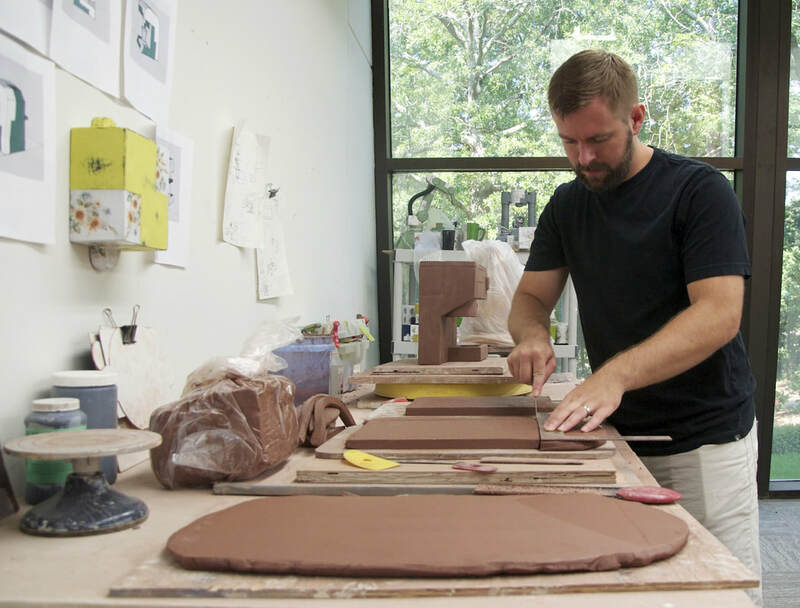 After completing his undergraduate work he spent a year as an instructor teaching Beginning Ceramics at Miami University. In 2015 he graduated from Edinboro University of Pennsylvania with a MFA in Ceramics and a minor in Sculpture. Currently, Wieland is the Assistant Professor of Ceramics and Sculpture at LaGrange College in LaGrange, Georgia. Wieland has completed summer residencies at the Cub Creek Foundation for the Ceramic Arts in Virginia, the Watershed Center for Ceramic Arts in Maine, and the Medalta International Artist-In-Residence program in Alberta, Canada. He has been featured in a number of National and International Exhibitions in such places as The Clay Studio of Philadelphia, LUX Center for the Arts, The Erie Art Museum, Charlie Cummings Gallery, Eyebeam Art and Technology Center, Genesee Pottery, and at many other venues. Recently, his solo exhibition Interactivity II was reviewed in World Sculpture News Magazine.